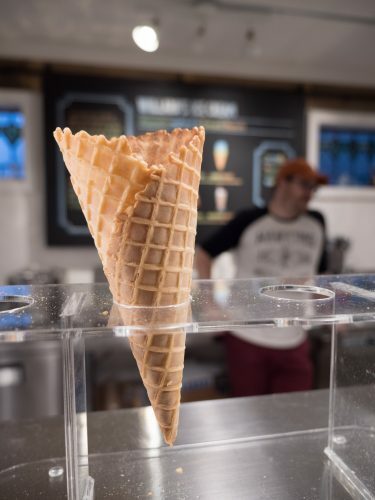 There is a cute new ice cream shop in Hamilton and even though it is very very cold right now in Ontario, you know you always have room for great ice cream! 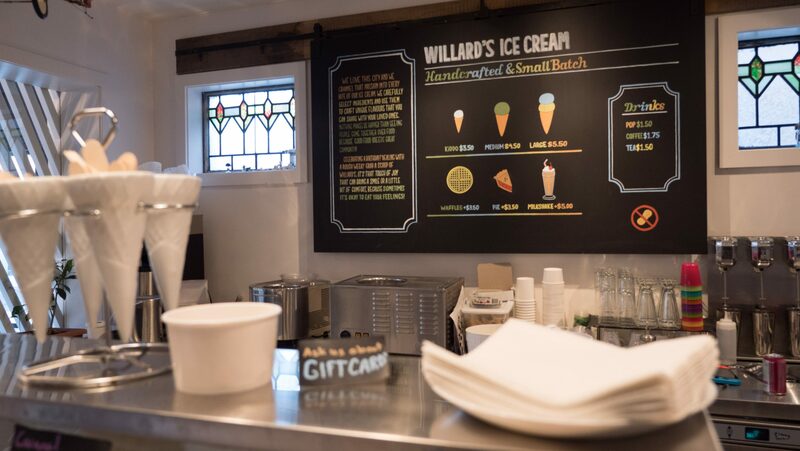 Willard’s Ice Cream have been opened for about 3 months now and what I love most about this ice cream shop is how much the owners care about the quality of their ice cream and also the community aspect of how food can bring people together. 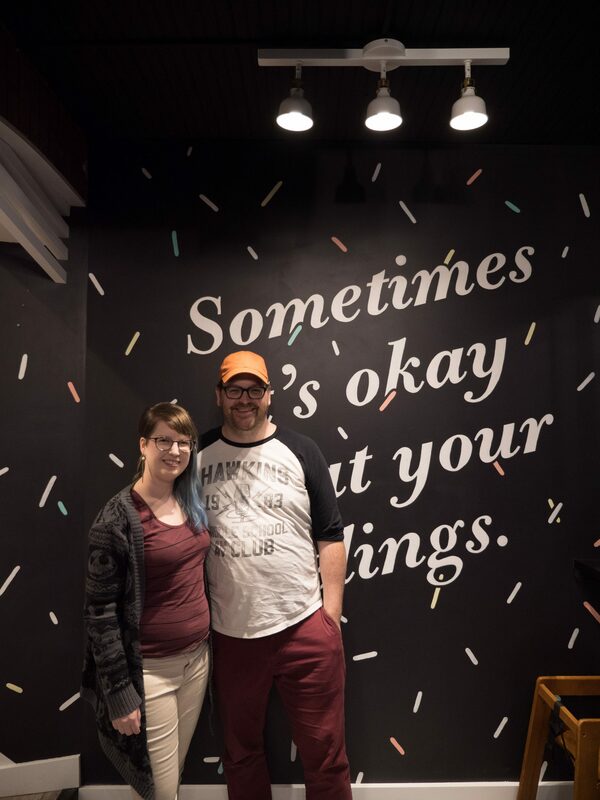 Husband and wife duo, Matt and Charlotte have lived in Hamilton for awhile now and love this beautiful, ever changing city. Matt grew up loving ice cream so much so that his parents had to put a limit of how much ice cream he could have. With his growing passion for all things ice cream, they encouraged him to create and got him an ice cream machine to practice making his very own ice cream! And everything changed from that day forward, Matt’s love for ice cream continue to grow and it was always something he loved to do. 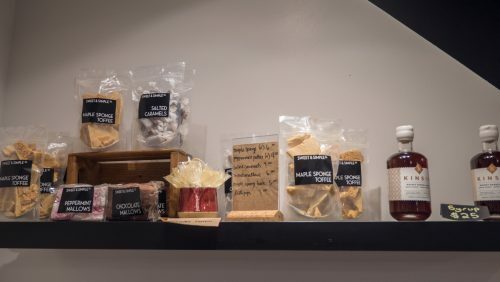 Even though his day job has nothing to do with creating delicious treats, they decided to open an ice cream shop to live out his passion in their beloved city of Hamilton! 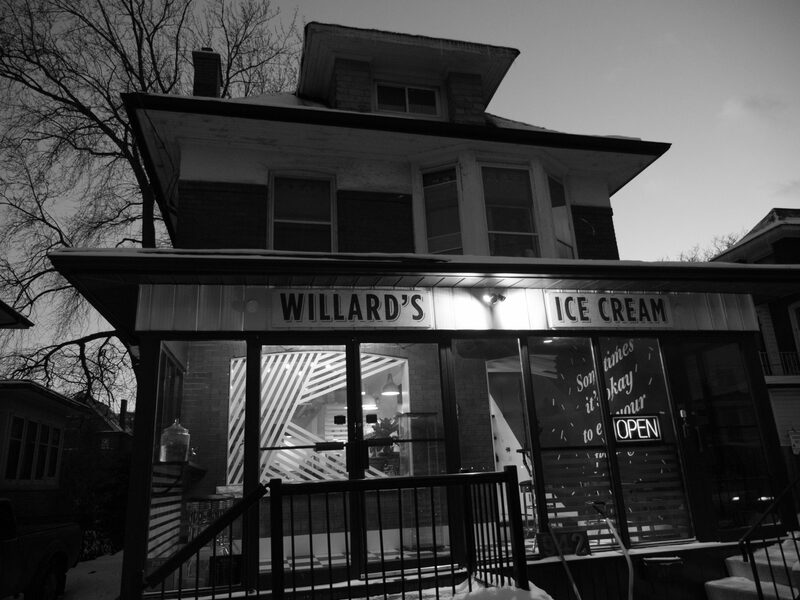 Fast forward months of hard work, and Willard’s Ice Cream is finally opened! When you are driving down Main Street in East Hamilton, you can’t miss Willard’s! They have a beautiful sign and the shop just stands out when you drive or walk by. 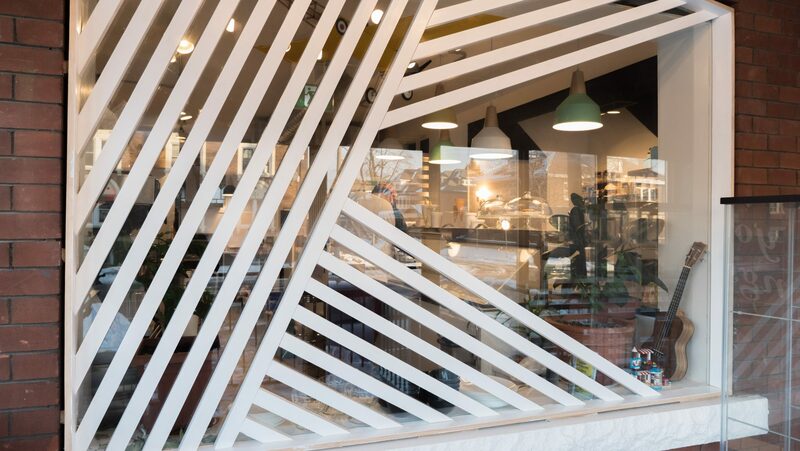 I love the way they decorated the shop too! 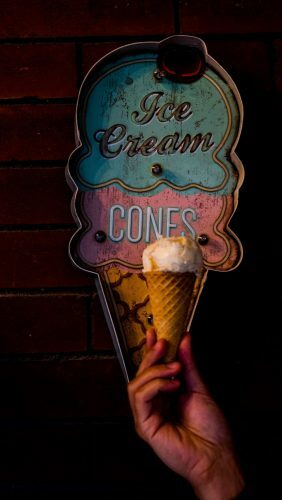 Once you walk in, there is a little spot where they have bar stools facing large windows where you can eat ice cream and watch the world go by! 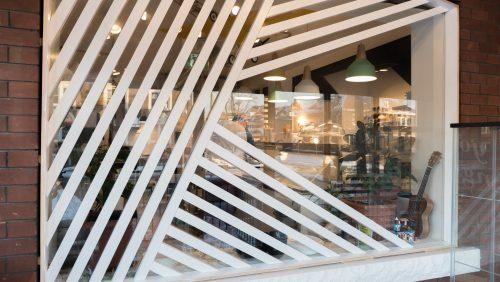 Once you step into the ice cream shop, it is beautifully lit and has such a nice clean, elegant feel to it! Very warm and inviting! 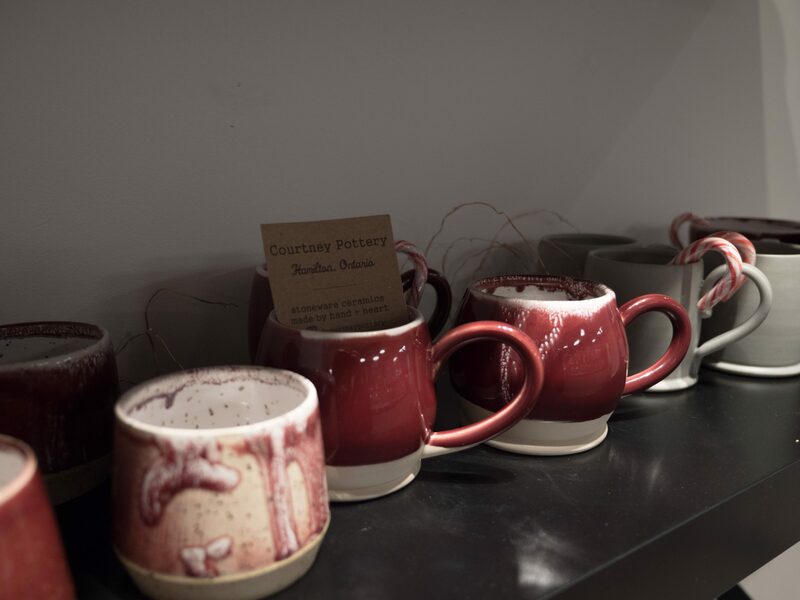 There is also a small shelf filled with local goodies like handmade pottery and delicious sweets made by other local businesses. The ice cream are all made in small batches, made with real ingredients – no unnecessary nasty chemicals. You can taste how fresh and delicious the ice cream was. Often times when I eat ice cream from the generic brands you get from the grocery stores, I find it leaves this weird coating in your mouth and it is always overly sweet with buckets of sugar. I did not get that when I tried the ice cream from Willard’s. A really cool thing they do at the shop is each month they create a “Surprise” flavour which they colour with activated charcoal so the colour won’t give away the flavour. 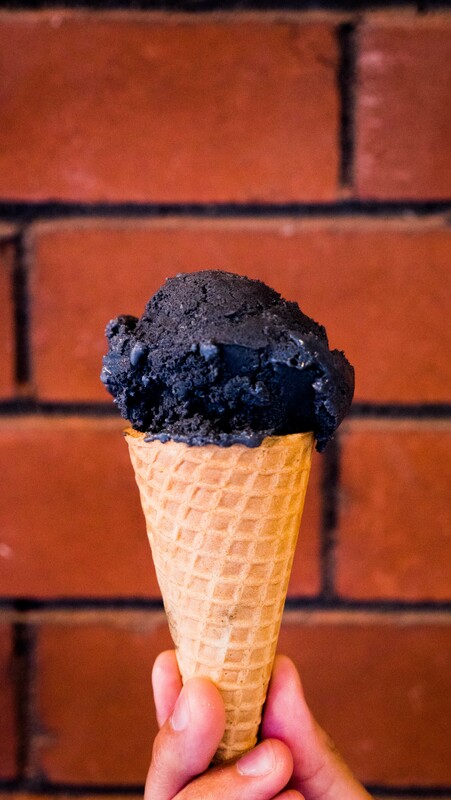 If you purchase the “surprise” flavour and guess the right flavour, you get a free ice cream cone! I love a good challenge to test my palate so we ordered one “surprise” flavour and one maple whisky ice cream. It was very interesting to turn off your sense of sight to guess what the surprise flavour was and rely strictly on your taste buds. I am happy to report that not only was the surprise flavour delicious, but I also guessed the right flavour! I am not going to tell you since you have to go try it out for yourself! The ice cream comes in 3 different sizes, a kids, medium and large (with 2 scoops) and they were all very well priced (at $3.50, $4.50, and $5.50 respectively). You can also grab a drink – tea, coffee, pop – all for under $2! The menu is small and simple which I think works best for a simple ice cream shop! Matt and Charlotte have made their space very welcoming and comfortable so you can just swing by, enjoy some treats and sit to work, read a book or just chat with them! I see wonderful things happening for them and I can’t wait to visit again to try their new “surprise” flavour ice cream! Have you been to Willard’s Ice Cream before? What was your favourite flavour? Comment below!